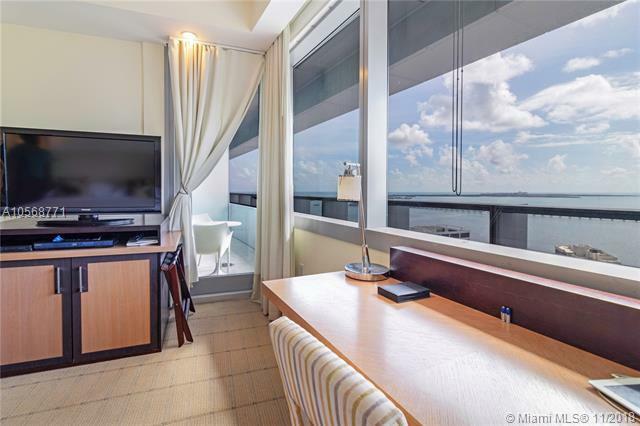 Exquisite water views of bay and Key Biscayne from living room and bedroom. 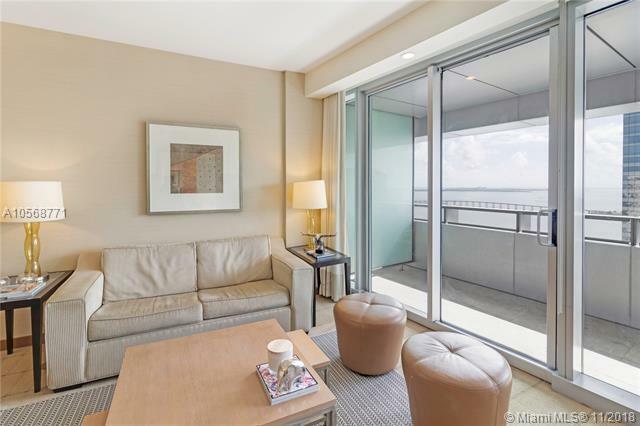 Fully furnished and equipped apartment located in the heart of Miami's Brickell Financial District. Enjoy 5 Star services and amenities of the Conrad Hilton Hotel. 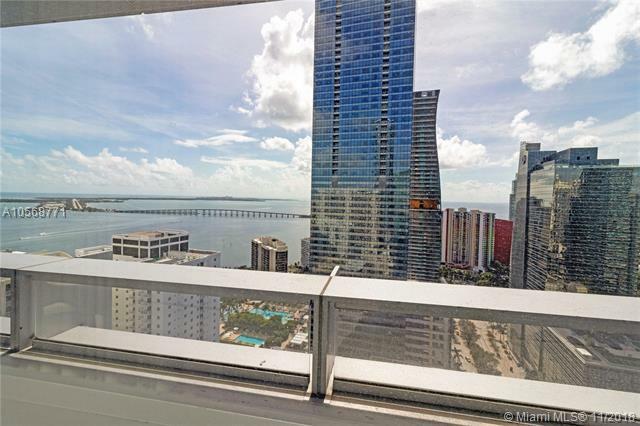 Ideal property for an investor for short term rental. Property can be rented daily, weekly, monthly, and yearly. 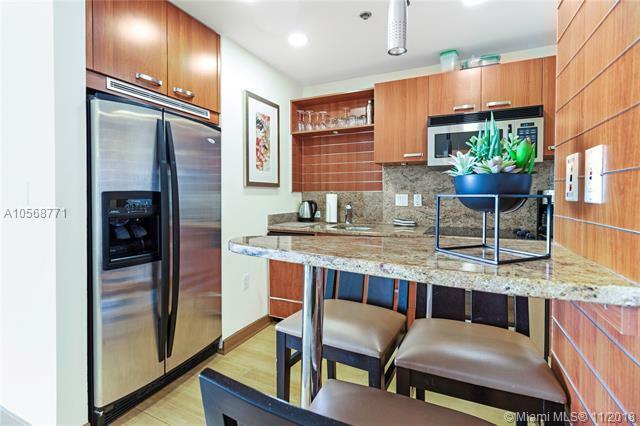 Amenities include tennis courts, swimming pool, gym, and spa.